The following selection of questions includes those that are most commonly asked about Delaware County Community College. Questions are in alpha order by category. What academic degrees does Delaware County Community College offer? What does it mean that Delaware County Community College is an Achieving the Dream school? What classes are Act 48 eligible? When should I contact the Admissions Office? How do I start the admissions or application process? How do I make an appointment to meet with an admissions representative? What is the deadline for applying to the College? If I attended Delaware County Community College in the past and wish to be readmitted to the College, what do I do? Who do I need to talk to in order to get started in Allied Health, Nursing and Emergency Services? Who qualifies as alumni of Delaware County Community College? Is there a fee for becoming a member of the Alumni Association? Who do I contact to find out more information about the Alumni Association? What is the role of Assessment Services? 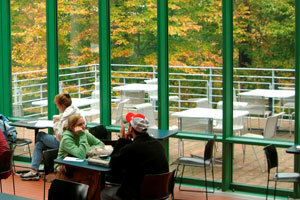 What are the College’s business hours at the Marple Campus? How can I make an appointment for a tour of the campus? 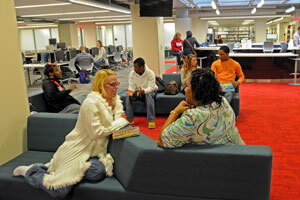 What career and counseling services does the College offer? What is a Certificate of Proficiency or Competency? Does the College have student clubs and organizations? What is the College’s College Board Code Number? What is College Over 60? What is the role of Community Education and Training at Delaware County Community College? Does the College provide technical support for personal computers? Does the College have computers that students can use to practice what they learn and to use for assignments? Can wireless computers be used at the College? Does the College have a laptop loan program? How can I get a copy of the College’s Course Catalog? Does the College take credit cards? Does the College take credit card payments over the phone? How many credit hours do I need to receive a Certificate of Competency? How many credit hours do I need to receive a Certificate of Proficiency? How many credit hours do I need to receive an Associate Degree? What do I need to do to get my credits from another college transferred into Delaware County Community College? How do I login to delaGATE? Does the College offer services for students with disabilities? Does Delaware County Community College offer distance learning classes? Does the College offer its students help with preparing to enter the workforce and find employment? Does the College offer English as a Second Language (ESL)? How do I register for ESL? What types of special events does the College offer? 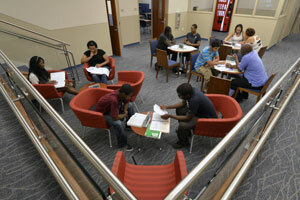 What is the role of the Financial Aid Office? How many classes or credits do I need to take to receive financial aid? What is the income requirement for applying for financial aid? How do I access the FAFSA (Free Application for Federal Student Aid) form? What paperwork do I need to fill out for financial aid? Does Delaware County Community College offer GED (General Education Development) classes? What are the graduation requirements at Delaware County Community College? Does the College have a student health center? How do I register for Hybrid Courses? What is the KEYS program? Is the College’s library open to the public? What is the College's school closing number? Does the College have a student newspaper? Are there advertising opportunities in the College’s newspaper, The Communitarian? What steps do I need to take to register for an RN program? What is the PA CareerLink® program at the College? What is the Workforce Entry Center? When must I pay for taking a non-credit course? What degree and certificate programs are offered at the Downingtown Campus? What degree and certificate programs are offered at the Exton Center? What degree and certificate programs are available at Pennocks Bridge Campus, West Grove? 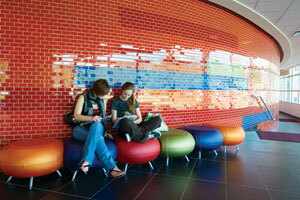 What degree and certificate programs are available at the Southeast Center, Sharon Hill? Does the College have a radio station? Does the College rent out its facilities to the public for meetings and special events? Does Delaware County Community College offer scholarships? What is a sponsoring school district? What sports teams are available at Delaware County Community College? 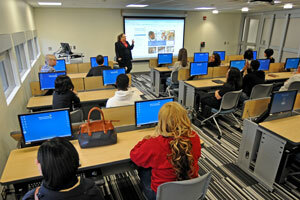 What is the STEM Complex at Delaware County Community College? What is the Student Ombudsmen? What test do I have to take for admission into the nursing program? What opportunities are available for taking professional non-credit certification testing at the College? What is a Certiport Testing Center? Where do I go for ESL (English as a Second Language) placement testing? Does the College have a student theatre program? What do I need to do to transfer credits I have earned from another college into Delaware County Community College? What four-year colleges or universities will accept credits from Delaware County Community College? What four-year colleges or universities will guarantee my admission if I successfully earn my associate degree from Delaware County Community College? Can I get a refund for tuition and fees? Does Delaware County Community College offer tutoring services? What services does the College provide for military veterans? How can I get a copy of the College’s view book? How do I withdraw from the College for Medical Reasons, Military Service or a Life-Changing Event Beyond My Control? Does the College have a work study program? Does the College have a writing center?